At Nobel Biocare, we are empowering you to treat more patients better. Our products and treatment concepts are designed to give your patients fully functional and natural-looking restorations that aspire to last a lifetime. 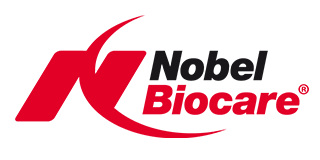 Nobel Biocare Training and Education helps you to make the best choice for your patients and your business. Since the first insertion of a titanium implant by Per-Ingvar Brånemark, Nobel Biocare has been synonymous with scientific leadership and innovation. This innovation, coupled with other developments in dentistry, often leads to new techniques and expanded treatment options.Nobel Biocare is committed to comprehensive training and education (T & E) programs. Essential to this commitment is a solid partnership between you, our customers, and Nobel Biocare employees. It is our mission to enable you to keep pace with innovation and manage the challenges of a constantly changing environment. Advancing your skill and knowledge base through comprehensive educational courses is one substantial way of supporting both dental professional customers and Nobel Biocare employees to employ the best treatment solution for every patient. Nobel Biocare’s continuing investment into T & E reflects our commitment to advancing dentistry, and ultimately, to assuring safe and effective results for patients. The Nobel Biocare Dental Professional Education (DPE) offers a comprehensive educational curriculum with insights into the latest evidence-based practices. DPE reflects a customized educational approach that addresses multiple indications and focus areas within esthetic, restorative and digital dentistry. It is structured according to indications and target groups to make it easy for you to identify the courses relevant for you. It offers an integrated approach that allows you to follow different learning pathways according to your needs and objectives. It allows for additional beneficial areas of study to complement your knowledge and skills. For example, while following the surgical focus area, you may decide to divert to a course on digital dentistry, and then rejoin the surgical track. The DPE concept is designed for both new and experienced dental professionals. Courses are available in multiple languages, include latest dental developments and hands-on sessions, and provide comprehensive support material such as videos, cases, photos and much more. More than 600 experienced speakers from around the globe are ready to present dental knowledge integral to your daily work. Clinical cases and practical tips and tricks are substantial elements of DPE courses, augmenting comprehensive support material and scientific evidence. And, Nobel Biocare uses training centers that offer an atmosphere intuitive to learning – in your local language and adapted to local needs and experiences. All courses are regulatory-approved and award credit points according to local dental authorities. "Restoring patients to a state-of-the-art dental solution is a multifaceted objective. A single solution does not satisfy all needs. The Nobel Biocare Dental Professional Education has this in mind to the benefit of the patient." Since 2004, Nobel Biocare has entered into a series of agreements with universities around the world in order to encourage dental schools to implement advanced implant education programs. With the support of Nobel Biocare, these universities have incorporated implant therapy, treatment planning and diagnosis – as well as digital dentistry – into undergraduate dental education curricula, thus promoting optimal patient care.